Tim Burton returns to his film-making roots with the new stop motion animated flick Frankenweenie. Opening the 56th BFI London Film Festival, this passionate feature-length adaptation of one of the director’s short films (now a cult classic) is certainly one of the auteur’s better efforts in recent times. Victor Frankenstein (Charlie Tahan) is obsessed with science and his dog, Sparky. When an unexpected car accident results in Sparky’s demise, a heartbroken Victor – inspired by his science teacher Mr Rzykruski (Martin Landau) – devises an ingenious way to bring his pet back to life. It’s not long until the secret is out, and with the school science fair looming and first prize up for grabs, Victor’s peers seek to imitate his experiment, with mixed results. This entry was posted on October 13, 2012 by Amonymous. 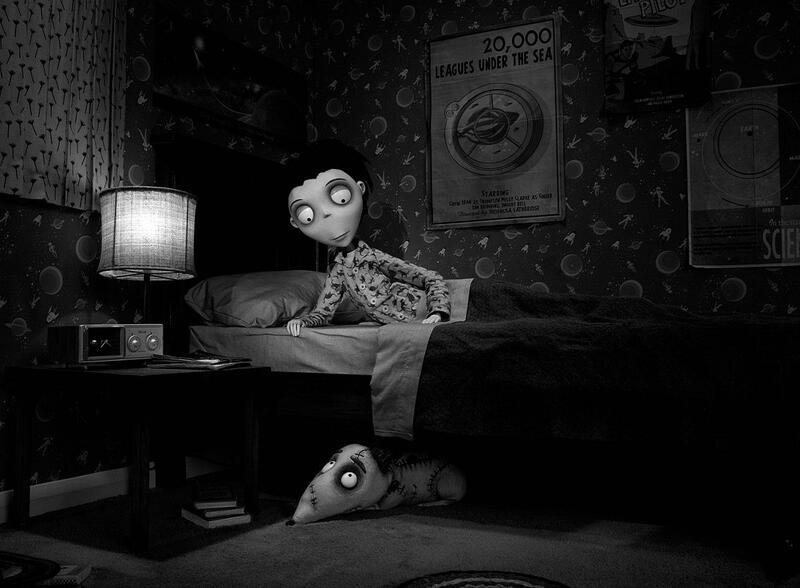 It was filed under BFI London Film Festival 2012, Film Reviews and was tagged with 3D, Animation, BFI London Film Festival 2012, Charlie Tahan, Frankenweenie, LFF, Martin Landau, Martin Short, Tim Burton, Winowa Ryder.